Running a successful construction company means keeping it as well-oiled as the equipment you use. There’s a near-endless stream of paperwork and planning, along with people, machinery and construction supplies to keep an eye on. It’s a big job, and whether you’re starting a new project or looking to organize an ongoing one, The Packaging Company is always glad to give an assist. With the help of some friends in construction, we’ve put together this list of tips and supplies for construction companies. We’re confident it’ll help you and your supplies stay organized. Don’t forget to download your FREE printable checklist for construction companies below! As they say, forewarned is forearmed. Making sure your team is fully supplied with everything they need is the best tactic you can use. They’ll have all they need to stay organized, stay on-time and stay safe. Dressing Properly goes without saying, but we’ll say it anyway. Safety boots, hard hats and no excessively loose clothing are the bare minimum. When the weather changes, it’s important to change with it—stay cool in the summer, warm in the fall, and dry when it’s raining. Safety Items are a must, starting with keeping first aid kits in sight. Safety boots, pads and helmets, along with gloves and masks should always be kept close by as well. Taking Breaks are key for recharging and reorganizing. Suggest your team keep themselves surrounded with water, snacks and energy bars. Protecting Their Backs should be absolutely everyone’s priority. A quality back support belt will go a long way where health and safety is concerned—as long as proper lifting techniques are observed. Remember: lift with the legs, not the back. On-site construction offices quickly become the go-to storage areas, overflowing with extra supplies and unfiled paperwork. This can be a nightmare to handle later, especially when the one lone filing cabinet in the corner reaches its max. If you aim to stay organized from the start, it’s organized you’ll stay. Buy in Bulk goes beyond the actual construction supplies themselves. Anything you buy, from water bottles to boxes, get progressively cheaper the more you buy—and they’ll never outlive their usefulness. File Storage Boxes can organize your office in a hurry. Even the simplest of sorting techniques works, and labeling boxes will speed up finding those files later. You won’t lose track of those worksheets and checklists again, trust us. Copy Paper & File Folders go hand-in-hand with file boxes. Copy paper is a must for printing and writing out any notes or drafts you come up with, while file folders let you get even more in-depth and organized with your file sorting and storage. Mailing Tubes are perfect for storing blueprints, architectural drawings and even some paperwork. They’re compact, protective, and easy to store in a corner or on a desk. Wardrobe Boxes are great for storing larger blueprints or drawings that won’t fit or won’t travel well in shipping tubes. They’re also an easy way to gather up and transport file storage boxes once they’re full and no longer need to be on-site. Corrugated Boxes are a staple in any industry, huh? Smaller boxes are ideal for storing office supplies like paper, pens and markers, staplers and staples, and calculators. Their nondescript nature can also make it easier to disguise things in case there’s a pen thief or two around. Larger boxes work for printers and scanners, label makers and more. With all that goes on—workers outside in the framing stage, or inside laying down flooring, for example—it can be easy to forget what’s all around you: the ground, your feet, and piles of construction supplies. Here’s what you’ll need to handle or protect it all. Corrugated Bulk Bins do wonders for collecting up excess supplies that you can’t currently use, like all those end-pieces of cut wood, or the rolls of foam underlay you haven’t gotten to yet. Dollies & Hand Trucks can be used to move large windows and doors, plywood and drywall sheets, toolboxes and others supplies. Carts can handle bricks and pavers, multiple tool boxes, small machinery, lighting and more. Shoe Covers/Booties can have traction to prevent slips and falls, while saving floors from boot treads. Floor Runners are great for laying across wood, laminate, tile and carpet. You’ll protect those surfaces from damaging elements like water, dirt, mud and the excess materials typically found on a construction site. Forearm Forklifts and other carrying straps can aid in lifting larger objects off or around the site. Get instant access to our FREE Construction Companies Printable Checklist—and stay up-to-date on all the great content and products we have to offer! 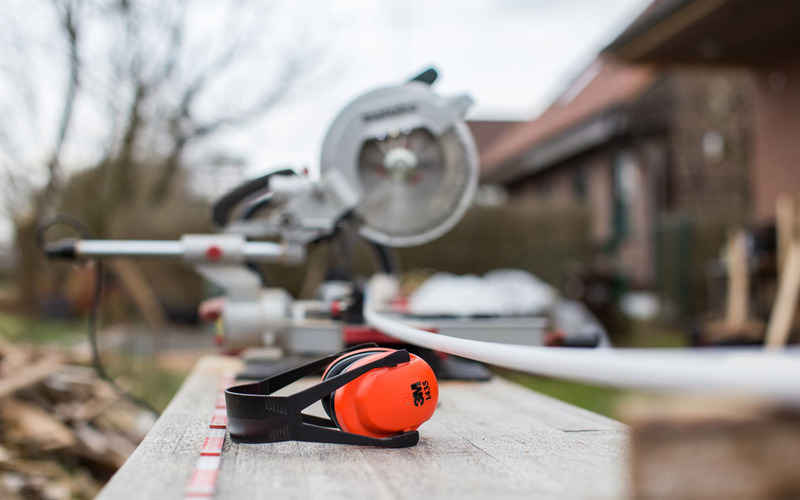 There’s a lot to collect and organize when it comes to supplies for construction companies. With our assortment of safety and support supplies, we’re confident The Packaging Company has what’s needed to assist your teams on their next construction site.